George Essex Evans was an English-born Australian poet, journalist, playwright and government official. He served as District Registrar of births, deaths and marriages first for Gympie and then, later on, for the city of Toowoomba, a place now known as the “Garden City” due to the existence of its many public parks and gardens. He came into the world in the Regents Park district of London on the 18th June 1863 into comfortable family circumstances. His father was a QC and also a Member of Parliament who, unfortunately, died when George was an infant. His widow was left well provided for though and she took her family back to her Welsh roots in Haverfordwest, Pembrokeshire where the boy attended the local grammar school before going on to St. James on the island of Jersey in 1873. He was physically strong and a more than capable athlete but a hearing problem would prove to be an impediment to his joining the Army, which was a career path that he had hoped to follow. At the age of 17 he migrated to Queensland in the company of a brother and two sisters. The two brothers bought a parcel of land, intending to become farmers in southern Queensland. This ambition was thwarted though when George was hurt in a riding accident and, for a short time at least, he moved into teaching instead. to promote Australian arts, culture, industry and science but this was a short-lived organisation, lasting only 8 years. which was a favourite of Alfred Deakin who was Prime Minister at the time. 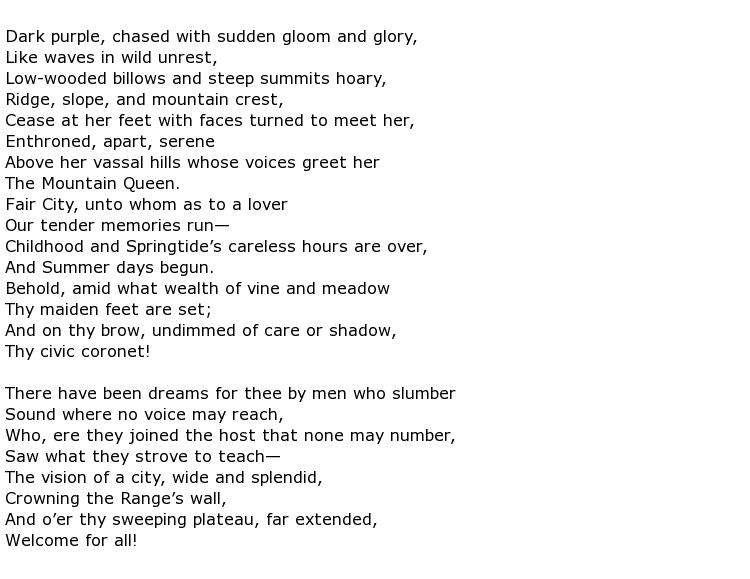 This poem was, however, criticised by literary critics and called “trite”. 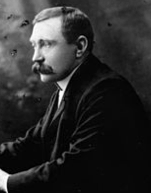 He was, however, considered to be a useful addition to the Chief Secretary’s department of Queensland’s State Government and was engaged to promote the State in Paris during May 1908. His literary output was considerable, numbering over 200 published poems, in addition to many short stories and essays that often appeared in newspapers. George Essex Evans died on the 10th November 1909 at the age of only 46, following a gall bladder operation that led to fatal complications.